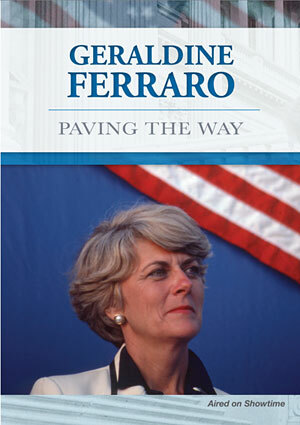 Geraldine Ferraro: Paving the Way is available for community screenings and for classroom use to help encourage and support women to get politically active and pursue leadership roles. Options below provide a license for one-time screenings by community groups and nonprofit organizations. To purchase for institutional or business use, visit The Video Project. For multiple screening license, please inquire at info@videoproject.com. DVD with license to host one public screening for up to 50 people with permission to charge admission. DVD with license to host one public screening for 50-100 people with permission to charge admission.